BioShock Infinite made its return with a brand new trailer on Sunday after going dark for a number of months. The content for this trailer of the PS3, Xbox 360 and PC game was chosen by fans on Facebook. The trailer, titled "Beast of America" opens with Booker DeWitt on a small boat explaining his predicament and why he is headed to the floating city of Columbia. Nico Vega's "Beast" song explodes in from there as snippets of gameplay action from BioShock Infinite roll across the screen. It appears that Ken Levine and Irrational Games have spent the past few months putting a large amount of polish on the game but we get to see new tonics, new action and a couple of new enemies as well. 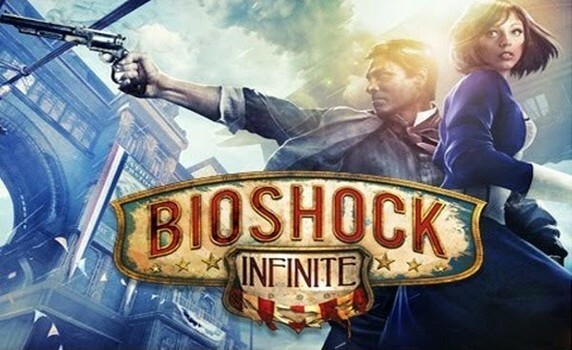 BioShock Infinite is due out on February 26, 2013 for the PS3, Xbox 360 and PC.